It’s no secret that esports is mainstream nowadays; not only are big esports tournaments being shown regularly on live TV (both here in the PH and in may other countries), major brands are getting in on the esports action, even brands who aren’t even gaming-focused. Among them is KFC (well at least its UK office) who recently launched the social media pages for ‘KFC Gaming‘, the fast-food giant’s new video game division. KFC Gaming was announced last September 28 through a teaser video that showed titles ranging from Fortnite, WWE 2K, and even a fighting game with Colonel Sanders facing off against Ronald McDonald himself. 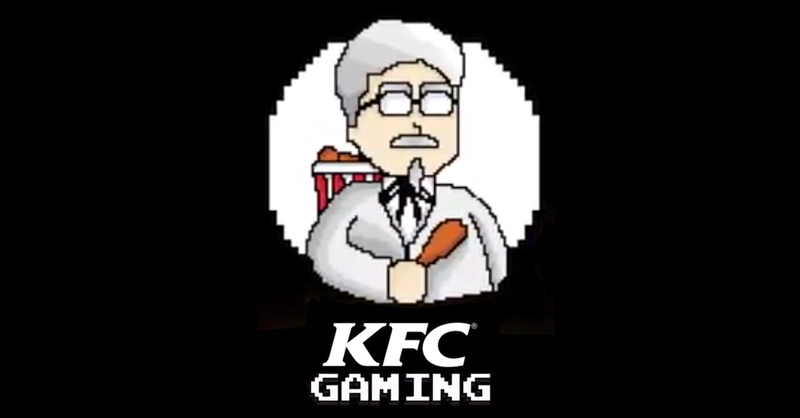 While the video didn’t go into specifics, it’s safe to assume that KFC Gaming will be the fast-food brand’s new esports arm. KFC’s entry into the realm of esports is certainly unexpected; I for one didn’t expect to see the words ‘KFC’ and ‘Gaming’ together. Here’s hoping McDonald’s and even Wendy’s joins in on the gaming action (Wendy’s pls!). Previous articleThe Republic Broadens as ASUS ROG Opens Another Concept Store in SM Mall of Asia! Celebrate ‘Miku Day’ today with 39 Hatsune Miku Songs!